This is Jung’s classic work, one which remains an important foundation and resource for serious students of typology. While not as accessible as other books on typology, serious readers cannot help but enjoy Jung’s genius and erudition. In addition to his theoretical presentations of the types and psychological functions, I relished his historical and comparative analyses of the personality types of some of history’s greatest minds. This book is unique in its focus on the less conscious elements of the sixteen personality types. Specifically, it highlights how the inferior function manifests itself (often negatively) for each of the sixteen personality types. It is written in a reader-friendly style, with plenty of lists, summaries, anecdotes, etc. I would recommend it to those looking for an introduction/concise summary of the characteristics associated with the inferior functions of the Myers-Briggs personality types. 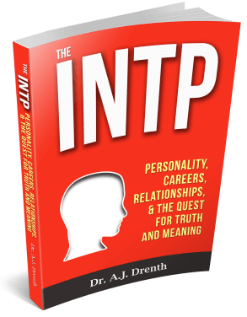 This is among the best popular books on Myers-Briggs typology to date. Like Keirsey’s book, it is written in an accessible style and format. However, because Thomson holds to a more complex theory of type (i.e., discussing the functional hierarchies of each type), some readers may need to do some additional legwork to fully comprehend her analysis. Thomson includes more descriptive detail for each of the specific personality types than does Keirsey. She also delivers insight into the eight Jungian functions, which Keirsey completely omits. Thus, if forced to choose, I prefer Thomson’s book over Keirsey’s. 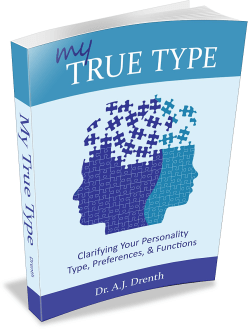 This is another popular book on Myers-Briggs typology. In some regards, it is a more simplified version because Keirsey groups and analyzes the types according to four “temperaments.” These include the Artisans (SP types), Guardians (SJs), Rationals (NTs), and Idealists (NFs). In providing a basic overview of the personality types, it can serve as a helpful introduction for personality newcomers. True personality geeks, like yours truly, can find plenty of facts, tables, and research in this classic compendium. It provides all sorts of information on the various types, including things like learning styles, intelligence, demographics, personality traits, careers, and relationships. It’s a great reference for personality junkies to have on hand. This is one of the best books on introversion-extraversion ever written, appealing to novices and experts, laypersons and professionals. Not only does it incorporate ample psychological research, but is accessible and entertaining, reading more like a story than a textbook. It also serves as a source of inspiration for introverts who have yet to find their way in the extraverted maze of society. Read my full review here. Although Personality Junkie focuses on Myers-Briggs typology, I learned a great deal from this book. Even if one does completely buy into Enneagram theory, the sheer amount of descriptive information in this book can be useful for self-understanding. The majority of “highly sensitive persons” are Intuitive Introverts, especially INFs. INFs will therefore find this book valuable for its insights into their personality. This book does not stop at personality, however, showing how sensitive persons also tend to have sensitive nervous systems. 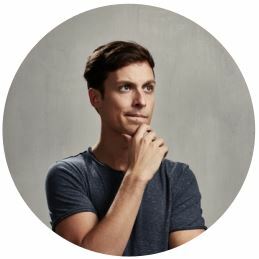 Aron explains why such individuals may have sensitivities to light, sounds, foods, drugs, etc., suggesting that high sensitivity is really a larger mind-body phenomenon. Schaef was trained as a psychologist, but later became critical of psychotherapy for its propensity to perpetuate co-dependency. After saying goodbye to the profession, she worked to develop her own theory and approach to human betterment. One of the main thrusts of her thought is the importance of complete honesty and authenticity, even when it is highly inconvenient to do so. Some might consider her approach one of brutal honesty or extreme individualism, but Schaef sees it as the only path to a truly authentic and meaningful life. 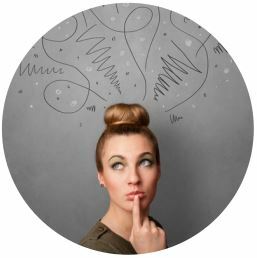 Another major thread of her thought involves listening to and heeding the instinctive wisdom of the body, including but not limited to emotions. She advocates learning to let go and to allow one’s mind, body, and emotions opportunities for full expression. “Living in process” describes a life that is characterized by an attunement to one’s inner values and promptings, as well as a willingness to authentically and devoutly express and enact them. While viewed as controversial or even radical by some, on the whole, I have found Schaef’s works both moving and stimulating. Written by an Oxford scholar, this accessible tome is bound to become a classic on right versus left brain differences. What I loved most about this book was it not only approaches hemispheric differences from a scientific and psychological perspective, but also from a historical and cultural one. At well over 400 pages long, there is a great deal of fun here for those who enjoy not only in-depth, but also broad-ranging analyses of human thought and psychology. If you’re interested in the relationship of personality and body types, this is a must read. Arraj skillfully explores the seminal work of W.H. Sheldon, the father of modern somatotyping (aka, “body typing). He discusses the correlations and relationships among the three body types (ectomorphy, endomorphy, and mesomorphy) with regard to the Jungian personality types. Those preferring Introversion and Intuition, for instance, are often ectomorphs. Arraj also discusses theory and empirical research that may account for these mind-body correlations. This classic work is easily the most insightful and accessible introduction to existentialist philosophy ever written. Existentialism deals with the challenge of finding meaning in a nihilistic age, one in which religious narratives are no longer viewed as intellectually tenable or practically relevant, at least not in their traditional forms. Not only can existentialism help one create and discover his or her own meaning, but it can also serve as a source of inspiration for authentically living out one’s convictions. That is why it is called existentialism, because it deals with the questions and challenges of human existence. Although a fairly philosophical and challenging read, I found this book well worth the effort. What I liked most about it was the way it connects the existential (i.e., human experience) with ontology (i.e., the essential nature of reality). Tillich’s discussion revolves around the notions of “being” and “non-being.” He shows how “being” (i.e., life, meaning, purpose) is constantly striving to overcome “non-being” (i.e., death, meaninglessness, guilt). This struggle promotes a fundamental and unavoidable anxiety within us all (i.e., existential anxiety). Tillich proceeds to outline two primary responses to this anxiety. One can either have courage or one can fall into despair. He then delves into the ontological and existential nature of courage, showing that it is not only a human virtue, but is common to all life and the workings of the universe itself. In striving to be who we are, living authentically and purposefully, we, in effect, participate with the universal impulse to grow, create, and self-transcend. 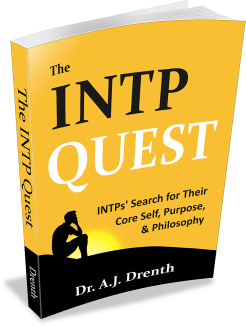 As an INTP, I couldn’t help but find this analysis deeply interesting, insightful, and inspirational.